We have been visiting Memory Cove in the Pt Lincoln National Park again. 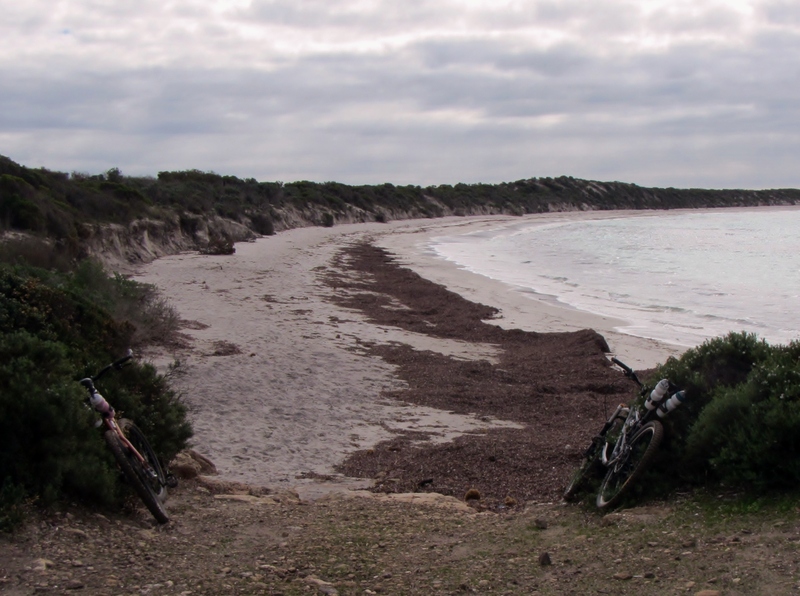 This is certainly one of my favourite places to spend a few days, either kayaking along the coast or if it’s too rough, spending time exploring the area by Mountain Bike. The park consists mainly of Sheoak and Eucalyptus woodland with a number of species being represented. The sandy beaches are unspoilt and the sheer cliffs and granite outcrops along the coast make for stunning paddling and the opportunity to see Southern Right Whales in winter. This is a place that has remained much the same since the days of Whaling in the early 1800’s, when whalers who were based at nearby Spalding Cove and Thistle Island pulled into this cove. 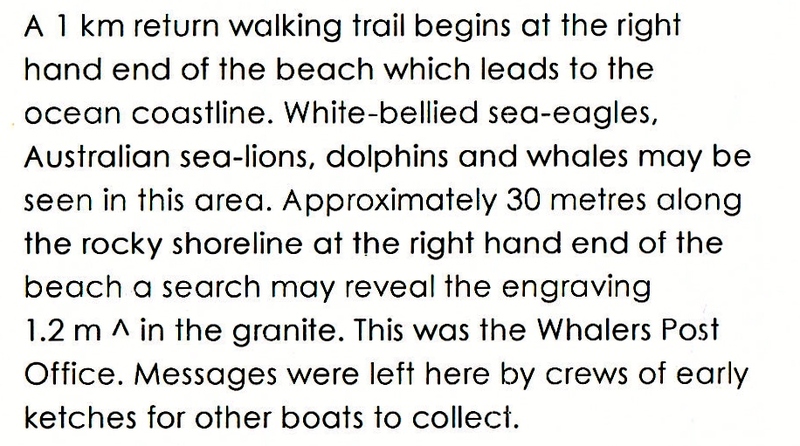 They established a “mailbox” among the rocks on the southern end of the cove, where letters and messages were left for other passing vessels to collect and deliver to the township of Port Lincoln. 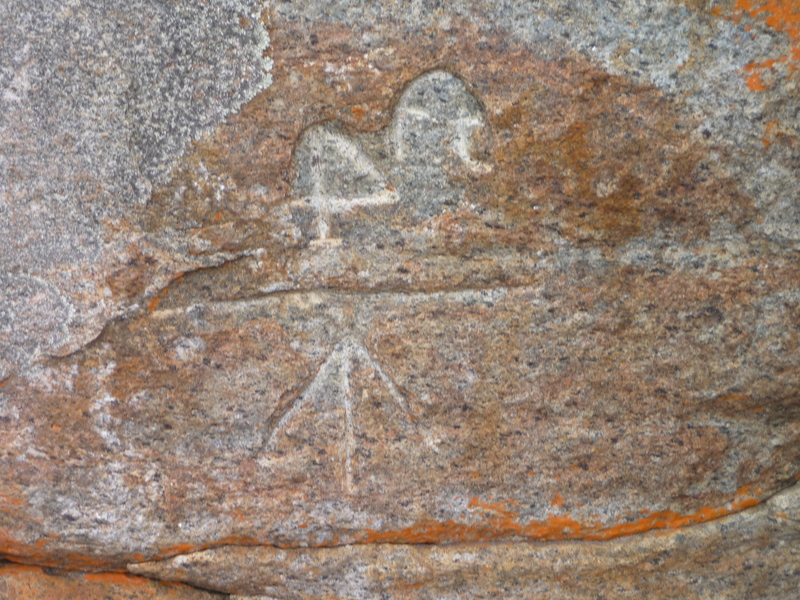 The letterbox is marked by an inscription in the rock, 4 ft and a direction arrow, meaning look 4 foot above this mark. Now Australian currency was metricated in 1966 from pounds and pence to dollars and cents and distances gradually changed from feet and inches to metres and centimetres but I’m sure Whalers were still in the old ways. 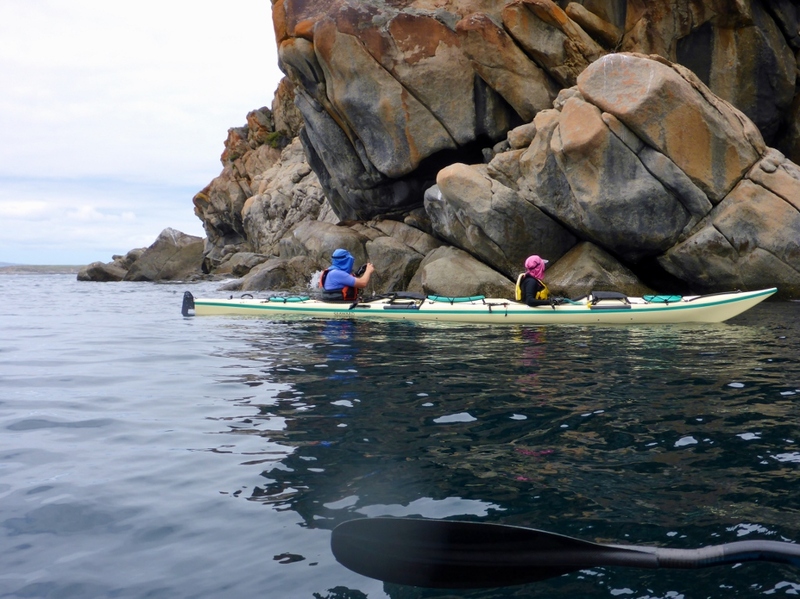 This entry was posted in Sea Kayak and tagged canoeing, Ian Pope, kayak adventure, memory cove, paddling south australia, Pt Lincoln, sea kayak. Bookmark the permalink.